Family ByCycle: Bicycle Tourists: we did it! 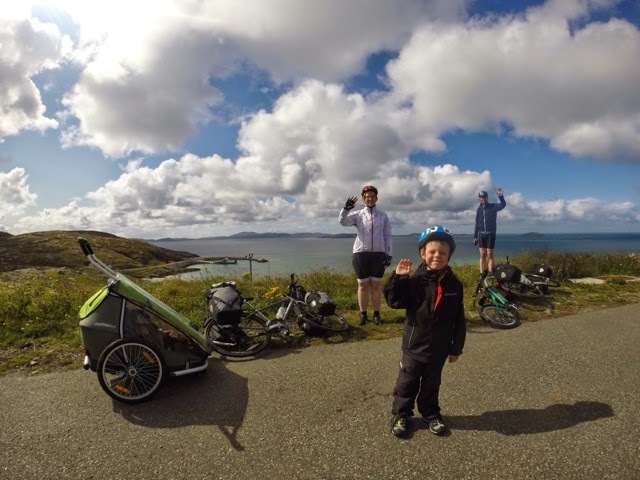 We are at home looking back on our bicycle touring adventure in the Outer Hebrides and wishing that we had the money to go back and do it all again. We would have loved to have blogged each day, but after leaving Glasgow for the ferry from Oban, the 3G disappeared, along with the rest of the mobile signal. So, after the event, here is what we got up to: eight islands, 93 miles, six days. We survived five ferry crossings, two car crashes(!) and the Scottish midges.